About Us Yashshree Competition Zone is one of the leading institution in competitive entrance training. 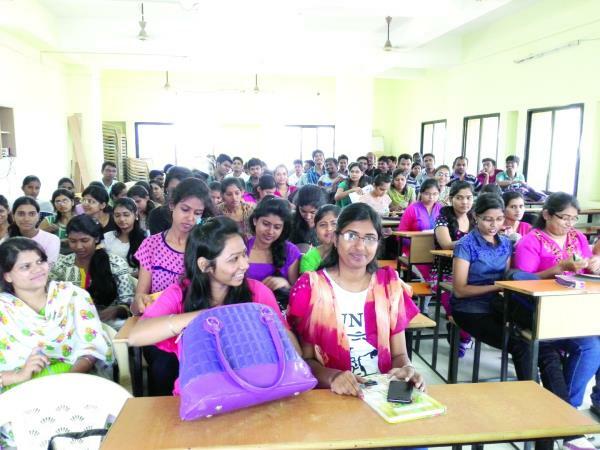 Today, Yashshree has spread its wings across the Maharashtra with more than 3000 students, successfully making it to some of the most prestigious Government Organization. With the support of our mentor, we have served about thousands of Successful Candidate in various banks/PSU in India and with his successful strategies and implementation we came across the career goal in diverse fields. By the help of our team, we bring out the students hidden talent and work hard to improve their skills. Our qualified and experienced Faculties hold the required expertise for accomplishing our organizational goals. We understand the specifications and needs of the students and provide service to them accordingly. History Yashshree Competition Zone, is Started in 1998 with a dedicated mission to provide guidance for Banking and other Government Recruitment Examinations Started by Shri Jay Bhagat and Shri. Sushant Bhagat, with the help of their rich Expertise the Institute has achieved an honor of being the No. 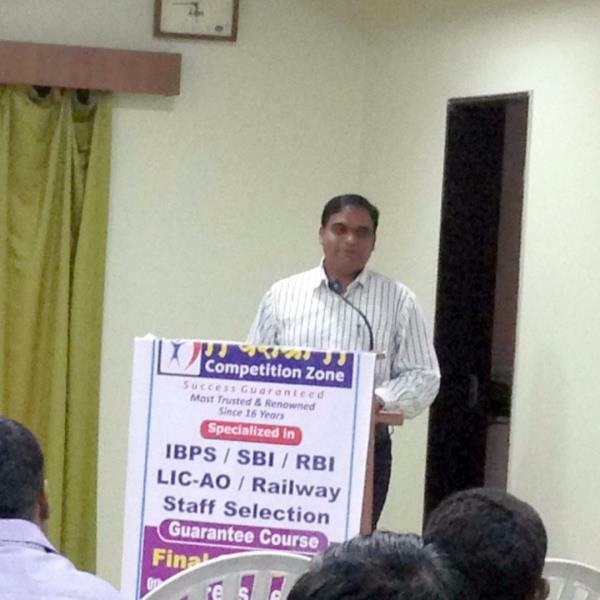 1 banking Coaching Institute in Maharashtra. 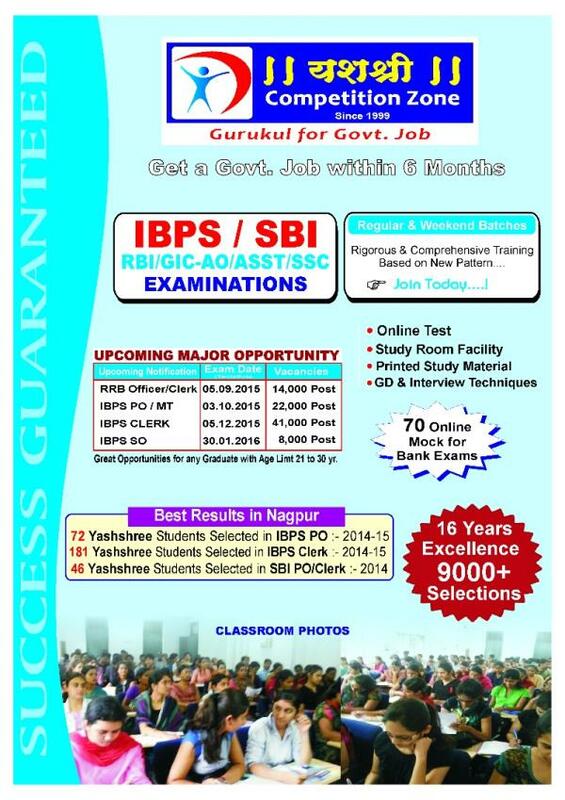 Our Head office is located at – Nagpur with Branches at Pune , Aurangabad and other major cities We are proud of mentioning that during last 15 years, nearly 3000 students of our Institute from various branches are selected for different post/s in the Public Sector organization. Our Vision Yashshree Competition Zone (YCZ) firmly believes that “Knowledge is the power” In the present scenario of dynamic and ever growing Public/Govt. sector, there is always demand for right candidates. Our vision is therefore aimed at helping the aspiring student to be successful in their competitive exams and transform the student in a “Right Candidate”. Our Mission At YCZ our aim is “Prepare, Practice and perform”. With their mission, we make our student “the winner” we constantly Endeavour to see that our student becomes a perfect candidate for selection in various Public Sector Banks. Our Mentor Shri. Jaikishor Bhagat (Msc. Mathematics) The world is shrinking. The world of Banking even more so. Economies across the globe are rapidly integrating into a mega world economy. In this era of strategic alliances, joint ventures and unpredictable market conditions great opportunities are knocking door especially in Banking Sector. Thousands of vacancies are at the door step for deserving candidate. An enormous career is waiting for young dynamic candidates who wish to fly high and want to achieve a Pinnacle in their life. Clearly it’s a need of an hour to have an out of out of Box thinking in Competitive Examination.